All three of the fathers in my life love jam. Father #1: My dad, who's been gone two and a half years. He had a sweet tooth. He liked lowbrow jam: grape jelly and orange marmalade, preferably from the little rectangular containers at the diner where he and I often ate Sunday breakfast. On the Sundays he was on call for his pediatric practice, he'd go to his office early to read the throat cultures and see the handful of sick kids whose parents wanted peace of mind before Monday morning. I went along to play with the typewriter, spin around on the twirly chairs at the front desk, and answer the phones. ("My daddy - I mean, Dr. Penzer - is on another call at the moment," I'd say gravely. "May I take a message?") On the way home we'd stop at the diner, where he always ordered a toasted corn muffin. It came split in half and glistening with butter from the griddle. He'd peel back the filmy cover of two containers of grape jelly and scoop the wiggly purple stuff out with the point of his knife. Yellow corn muffin, purple jelly: the colors of my young Sundays. Father #2: My father-in-law, who eats jam with glee. My "other mother" brings healthy steel-cut oatmeal and ground flaxseed with her when they visit to make sure their days start out right. My "other father" happily (if dutifully) eats his bowl of oats and raisins, carefully scraping around the edges with his spoon until it's gone. Breakfast is over - but then, if he spies interesting jam in the refrigerator and if I've remembered to buy or make decent bread, he brings both to the table with some butter and has "dessert." He dips a spoon into the jar, spreads a thick layer on a small piece of bread, smiles as he chews. And then he licks the spoon clean. And licks it again. Runs a finger around the plate to get the stray drops and crumbs. He smiles. Bread and jam: a simple pleasure to start the day. Father #3: My wonderful husband, father to our two wonderful fathers-to-be. Michael likes jam in oatmeal. He likes oatmeal with jam so much that he eats it both in the morning and as an evening snack. Michael likes thin, soupy oatmeal, nothing like his parents' thick steel-cut oats. Michael's oatmeal is nearly liquid. He makes a pot every few days. He's swooned over my experiments with quince jam, loquat jam, yellow cherry jam. He dislikes strawberry jam, apricot jam, and jam with seeds, although I didn't know that last bit until I made this berry cherry jam. No blackberries next time. Oatmeal with jam: Michael's midnight snack. No wonder his blood pressure is so low. Berries and cherries are in full swing in the summer. 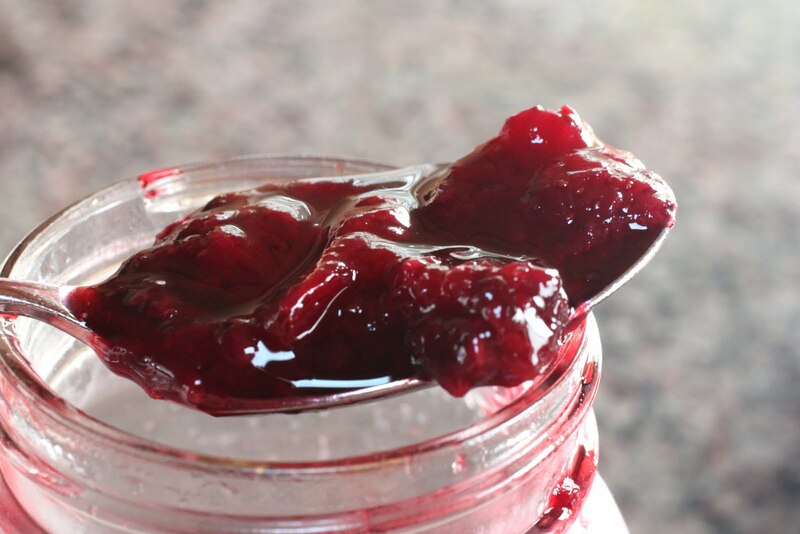 I make a small batch of this jam every week or two and keep it in the refrigerator. When the cherries are done, berries alone work well too. Use any combination you like. 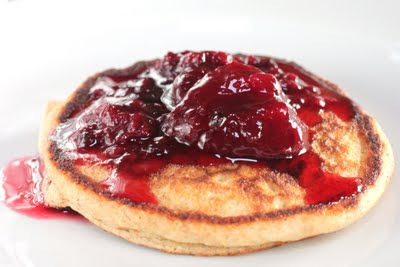 As you can see in the photo above, I prefer a loose-set jam without added pectin - it mixes more easily into Michael's oatmeal and makes a better pancake topping. Adding a few long strips of lemon peel adds natural pectin, but it will still be thinner than commercial jam. I make small batches of this delicious jam throughout the summer when berries and cherries are plentiful. Use any combination of fresh berries you prefer. In a large heavy saucepan, combine the cherries, berries and sugar. Let sit about 20 minutes. The fruit will release some of its liquid.With a paring knife or vegetable peeler, peel the skin off the lemon in large strips, taking some of the white pith as you cut. Add the lemon strips to the fruit and sugar.Bring the fruit mixture to a boil over medium-high heat. Watch the pot carefully, because I can tell you from personal experience that when a pot of jam boils over, it makes a huge mess. Trust me - you don't want to deal with this mess. As soon as the jam boils, turn down the heat to medium-low. You want to keep the jam bubbling vigorously, but you definitely want to keep it in the pot.Cook the jam, stirring every few minutes, about 30 minutes. It will still look pretty thin, but don't worry - the jam will thicken some (not a lot) as it cools. This is runny jam. You can cook it longer and get more of the water out of it to make a thicker jam, but you'll lose some of the fresh fruit taste. Up to you. 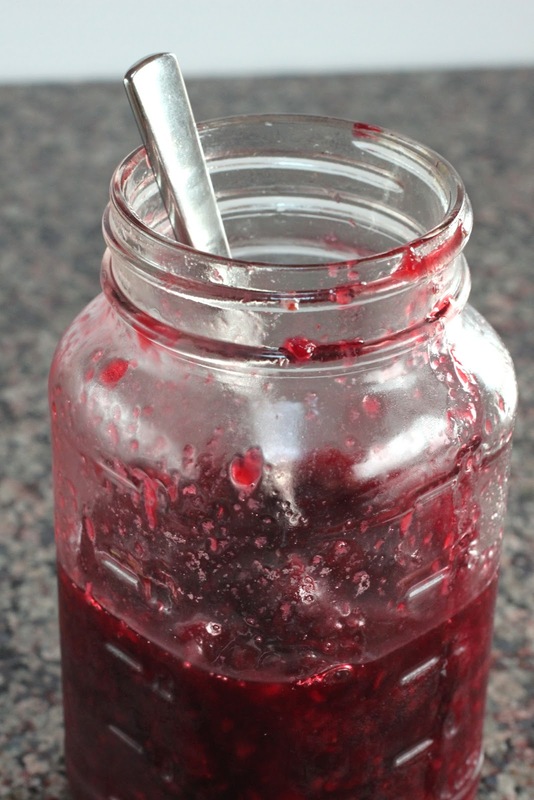 While the jam is cooking, wash an old jar and its lid in hot, soapy water. 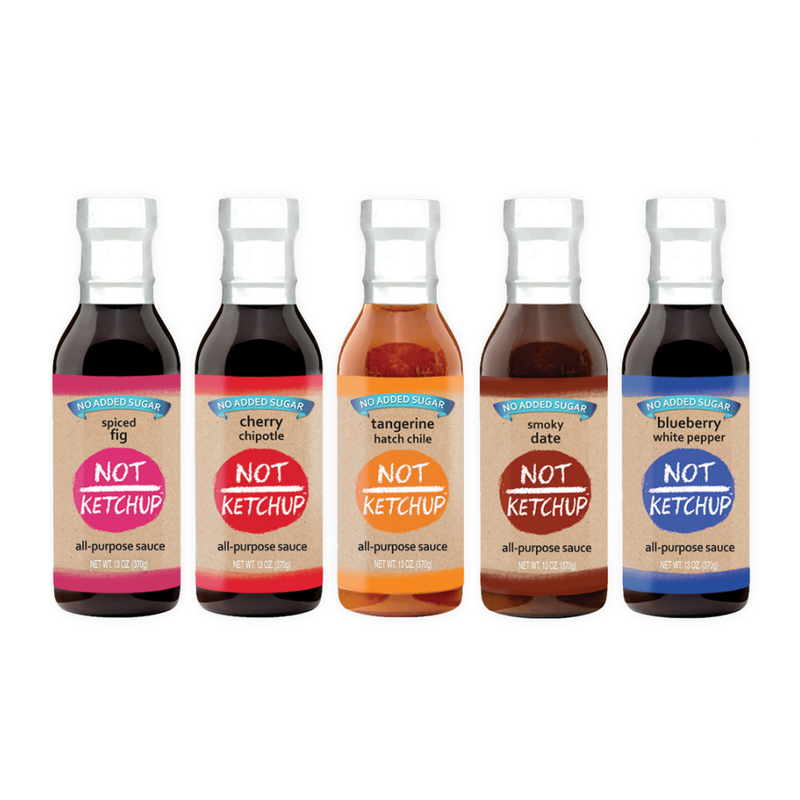 This is refrigerator jam, not meant for long-term storage, so as long as the jar is clean you're fine. 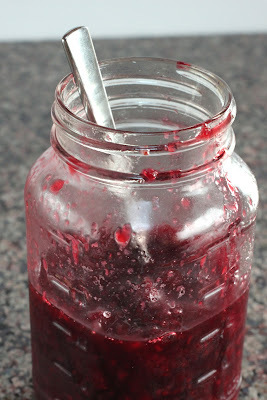 No need to worry about boiling or pressure cooking or such.Ladle the hot jam into the clean jar. Wipe the rim of the jar clean and screw on the lid. Let the jar of jam sit on your counter until it's cool, then refrigerate. Use within a month. It's been way too long since I've visited your "kitchen"!! This jam sounds lovely - and I loved the story of your "three dads". Hope you and yours had a wonderful Father's Day! Nancy - actually, our Father's Day sucked, because both kids were sick. Oh well. The father dealt with it well. Kristy - I also have a fear of canning. That's why I make small-batch refrigerator jam. No canning necessary! I love cherry recipes. That looks delicious. Perhaps I'll have to try it out! I love cherries and will be trying this recipe soon!